BJP candidate Arun Jaitley files nomination for Rajya Sabha Elections in Lucknow on Monday. 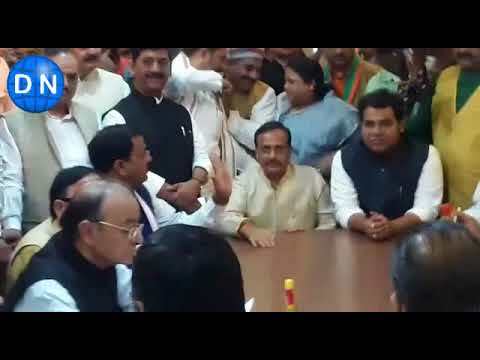 Lucknow: BJP candidate Arun Jaitley files nomination for Rajya Sabha Elections on Monday here. During his nomination, Uttar Pradesh Deputy Chief Miniters Kaishav Prasad Maurya, Dinesh Sharma and many BJP leaders were present.